Chinese actress, Zhang Ziyi (章子怡) attended the 15th China Huabiao Film Awards at the China Central Television Headquarters held in Beijing, China on December 26, 2013. 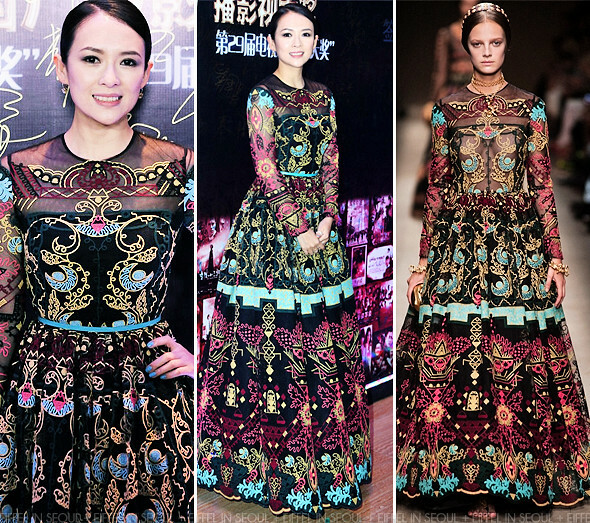 The actress opted for a colorful embroidered gown from Valentino Spring/Summer 2014 collection. Unfortunately, I can't seem to fall in love with this look. The prints and design seemed to overwhelm her.